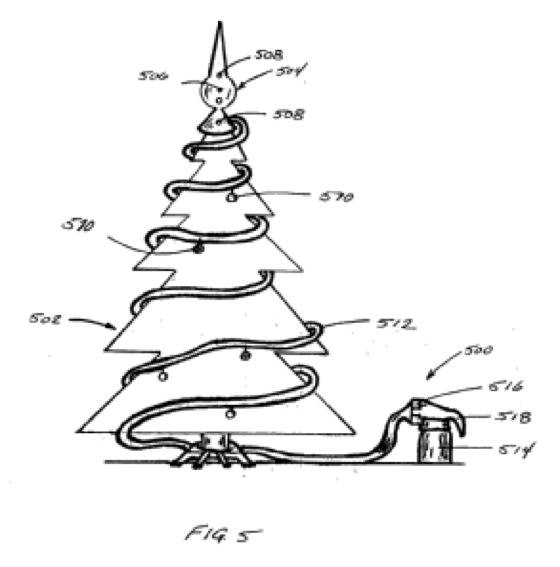 Many patents I found were similar to this basic version of a funnel apparatus (11) so that you can water the tree without having to climb underneath. 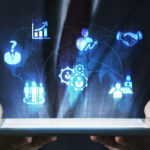 The benefit of this system is that it is a series of tubes (8) that fit together. By being collapsible it’s a small item to store away and have in easy reach when you need to water the tree. This option with a “Reindeer” head (10) caught my eye right off. 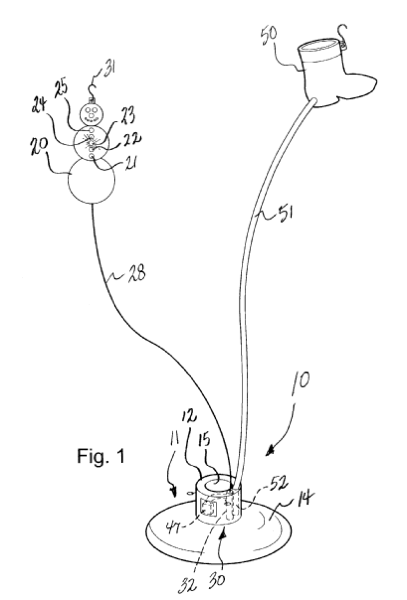 In this patent, the filler is left attached to the tree as a decoration, so there is no storage issue. 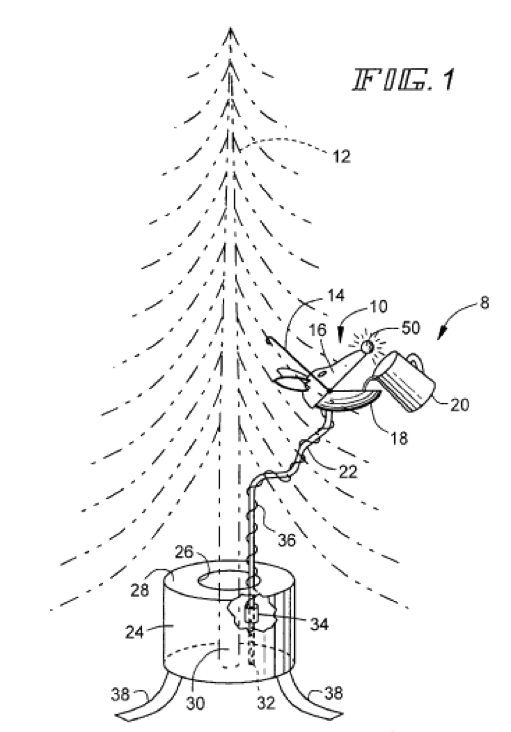 Besides just being a way to fill the tree it includes a notification via a blinking nose (50) or audible “HO HO HO” when the water level in the base has fallen below a predetermined level using a sensor (34) in the base. This one is similar to the “reindeer” head above but splits the filler ornament (50) separate from the indicator ornament (20). Where this one stands out is that the buttons on the snowman ornament are a series of lights that give an indication of the water level in the tree stand. This feature lets you judge how much water is needed to fill the stand, not just if the water was below a certain level. Here is an alternative to filling using the funnel and at standing height. 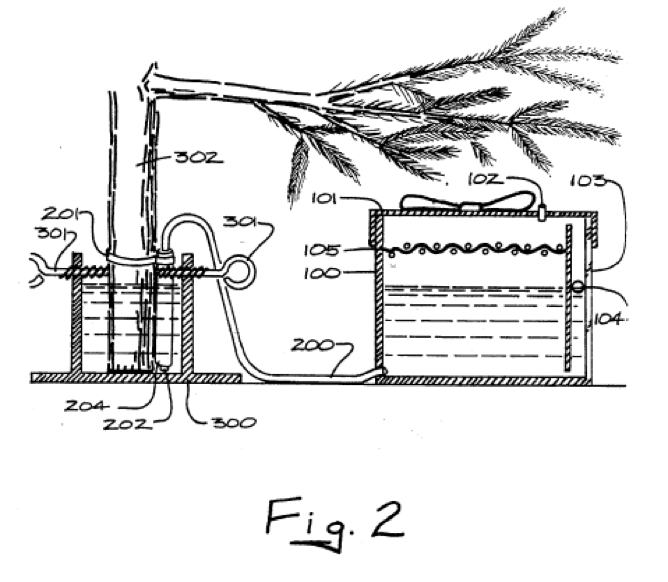 There were many patents similar to this one where a decorative water reservoir (100) is provided separately from the tree stand base. To fill the tree base you would take the lid off the present and add the water to it. A benefit of this design is the stability of the reservoir being placed on the floor rather than a funnel/object being placed in the tree. For a visual indicator of water level, this patent uses by a buoyant object (104) visible in monitoring column 103. 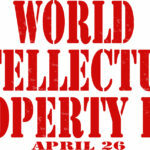 One additional goal of this patent was to not use any electrical current as a safety feature. 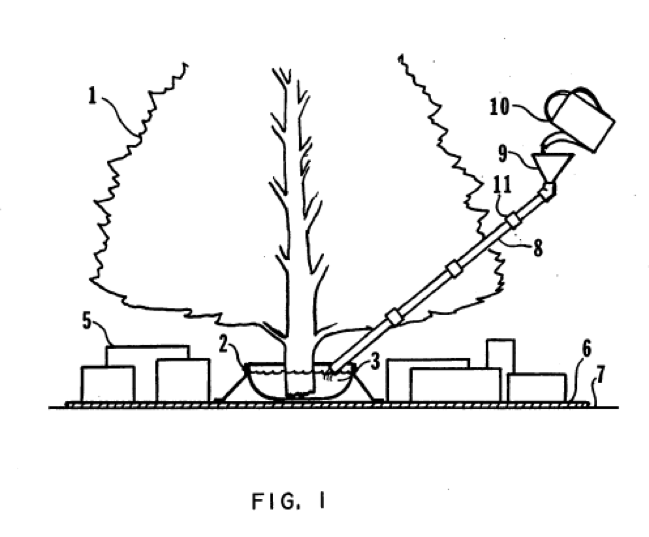 An alternative way of addressing the issue of dry Christmas trees and the fire danger they create is disclosed in this patent. 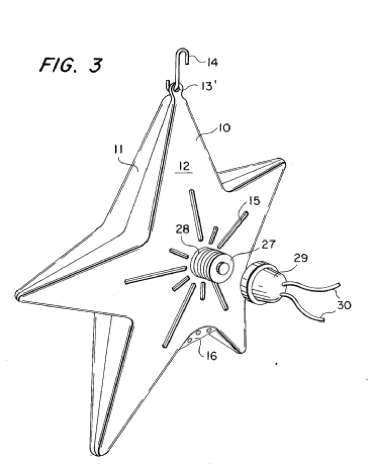 While not assisting with filling the tree this patent was of interest as it is an ornament (12) with a built-in fire alarm. It is disclosed as being able to be powered by a socket (29) in the tree lights or by a battery. Since a dry Christmas tree burns so quickly the concept is that if the alarm is located at the source of the fire homeowners will be notified much faster and be able to evacuate and alert the fire department. 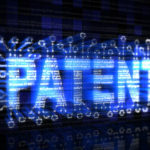 Besides using one of the watering systems or a fire alarm, here is a patent that discloses a system for putting out the Christmas tree once it has caught fire. 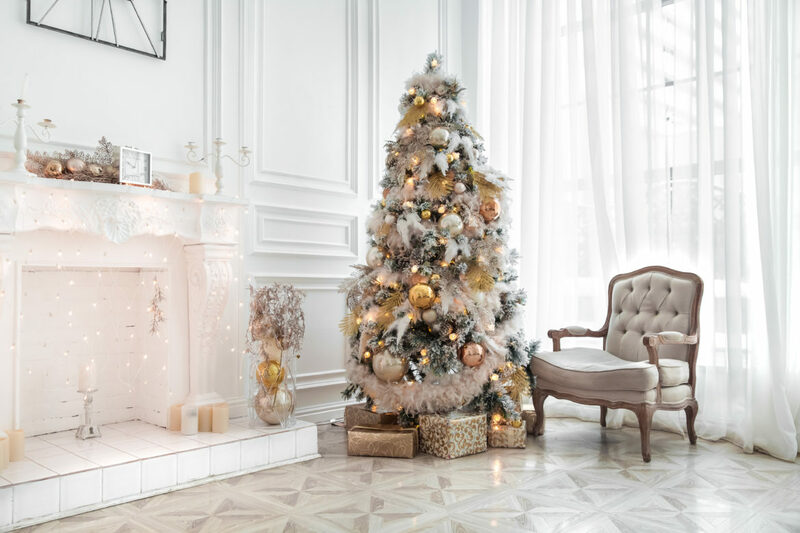 This system uses tree topper (504) and ornaments (510) as a way to quickly disperse flame extinguishing materials like those found in a fire extinguisher. 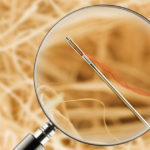 The tubing (512) for the system is disclosed as being made to appear as ribbon or garland on the tree. 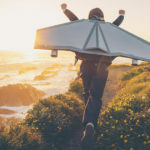 Whatever way you go to solve the headache of preventing a Christmas tree fire, from the simple to the complex, InnovationQ makes it quick and easy to see what’s been done and get ideas of how to solve the problems in daily life.